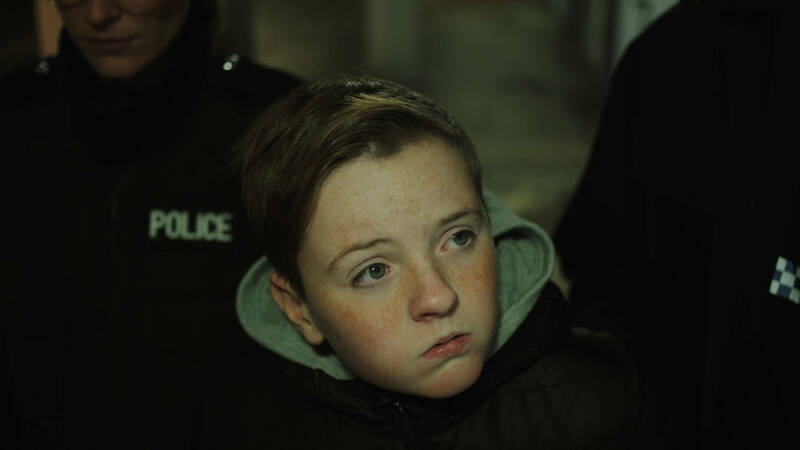 The phrase “child drug dealer” is enough to pique a bit of interest in most filmgoers. 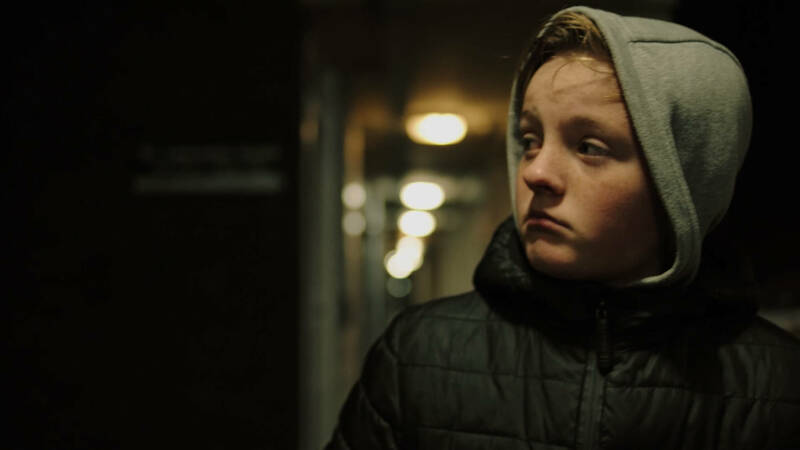 Inspired by a real-life story, London Director Charlotte Regan explores the colourful world of “The Kid”, a 15-year-old child who steps into the world of dealing and thrives. 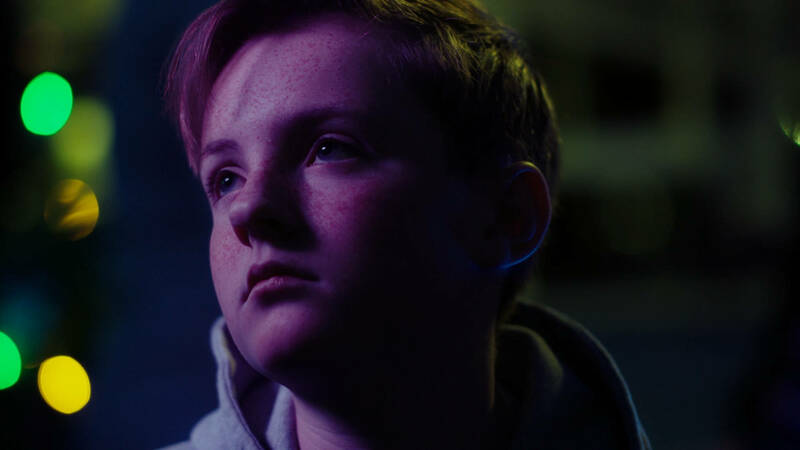 Contrary to mainstream portrayals, Drug Runner eschews the typical grim milieu of this world in favour of extraordinary visuals made vibrant with pops of colour and overlayed by an authentic voice-over. Dana Lockwood spoke to Charlotte about trusting in the stories you want to tell and conveying the relative perspective of personal reality in documentary filmmaking. What was your inspiration behind Drug Runner? I love watching documentaries, but wanted to do something that merged doc and fiction. Drug Runner was something that came naturally to me over time. The person it’s based on is a friend and I always felt like his story was one that was never told. I wanted to show the reasons behind people getting involved in things like drug dealing, without portraying the character as a villain, because he was just a normal, everyday kid. It was a weird topic for most people. A 15-year-old cocaine dealer is hardly something that everyone would be jumping to see, in my mind, so for a while I kept putting this idea off thinking no one would want to see it. It’s a struggle we all have, I’m sure, in trusting our own voices and ideas. How did you translate this real-life story into such a concise, well thought-out voice-over? I interviewed [the real-life Kid] about 3 times and those interviews were more like general chats. He knew the intention was never to use his voice, so he was happy to chat openly. From there, I had to then make a decision on what segments to use. Unfortunately, I didn’t quite have the budget for a 6+ hour film! I didn’t let my voice actor, Alfie Stewart, listen to any of the recordings. I never wanted him to try and completely re-create the guy’s speech pattern and style. Even in our own minds, stories grow and change over time. Doesn’t that blur the line between documentary and fiction, by using a voice-over artist rather than constructing the voice-over from the recordings? Don’t get me wrong, I’m not putting this piece out and saying it’s 100% literal. Whilst “The Kid” is based on a friend of mine, who knows what he was and was not exaggerating. Even in our own minds, stories grow and change over time. This was the intention with the shooting style, to show it’s his world. Some elements are exaggerated, but no doubt he was exaggerating here and there in the interviews. Just like with all documentaries, they’re always influenced in some way, but then again, they have to be. Lighting was everything in this film. Why did you choose to use the colour-palette you did? It was very important to me to represent the housing estate in the manner [the real-life Kid] remembered. The intention was always to make Drug Runner a very colourful piece, especially when The Kid is falling into that world of drug dealing and loving it. The guy it was based on always spoke about his housing estate as if it was a big community, and that was something I wanted to replicate. We always see the de-saturated, gloomy council estates, when the truth is, if you’ve lived in one like he and I have, they’re vibrant and filled with fun and your mates and people you know. We filmed on an Alexa Mini, using a Black Magic for B-Cam stuff. We shot the film how we ultimately wanted it to look as a finished product, so it was shot and lit with a lot of intentional colour. Filming with two different cameras meant there was some matching up to do in post, which our colourist, John Layton, did brilliantly. You did your own editing, which was really powerful in conveying what it felt like to live The Kid’s life. What was your process? How did you keep it fresh? Usually the edit changes the vision of the film, but with this, because of the script/interview dialogue, it was edited almost exactly as it was storyboarded. Something I like to do is watch the edit with other people. There is something about hearing how an audience (even if it is just your friend or nan) respond to something. If more than one person has a note – no matter if you took 5 hours to film that shot – you need to listen to them. My DOP Arran Green and Adam Neale at Bold Content Video helped out a lot with reviewing cuts. You’re planning a series of films about real people telling stories in their own words, but with creative cutaways. Is this a means of evolving the genre of documentary? I just like to tell stories that are exciting to me and that I feel motivated to tell. This style is interesting to me and the people I work with. We love the approach of fiction filmmaking, but we love the truth of documentary stories, so it’s a nice way to merge those two things. Dana Lockwood is a Missourian-transplanted-to London, where “ope!” quickly turned to “sorry!” Graduating with a Film Production degree from Missouri State University, she began her career in radio broadcasting, but ultimately moved to the UK in pursuit of opportunities in the film industry. She works as a Junior Producer at Bold Content Video.